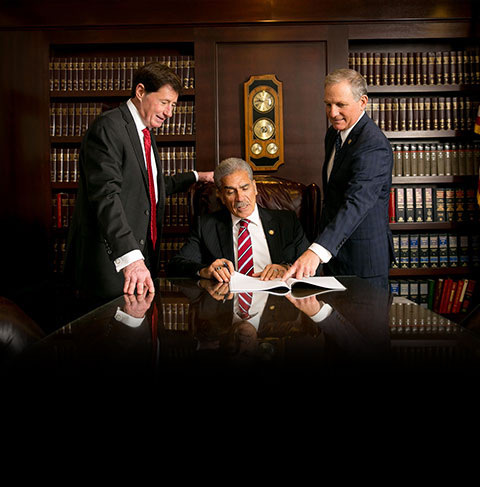 Jess J. Araujo is an Attorney at Law in California and a Senior Founding partner of the Law Firm of DiMarco | Araujo | Montevideo, A Professional Law Corporation. He is the author of The Law And Your Legal Rights, the first bilingual (English – Spanish) book on U.S. law ever registered in the Library of Congress and a professor of legal subjects at California State University Fullerton. He is a noted composer, musician, and frequent talk show guest as well as a popular keynote speaker and master of ceremonies. Concerned about the demise of the Latino vote, Mr. Araujo created and served as National President of Latin American Voters of America (LAVA), a non-profit, non-partisan voter and civic education organization. He also finds time to contribute to the youth of our country by serving as Co-Chairman of Programa Shortstop Juvenile Diversion Program, a nationally recognized crime prevention program. He is the past president of the Orange County Bar Foundation, and two term past president of the Hispanic Bar Association of Orange County. Mr. Araujo is the father of two adult children and resides in Orange County California with his wife Donna Araujo, a elementary school teacher.